This amazing fruit is delicious in so many different ways: Avocado! Delicious on its own, as a spread or add it to different dishes or snacks that you’ve already made. And the best part is that babies, toddlers, kids and adults love them, too. They may just be the perfect food – but it’s important to eat them when they’re ripe, for full tastiness! To find out how to test for ripeness and easy ways to add them to your family-yummy foods, watch the video with Little Belly Monster, before he chomps them all up! Share a sweet & tasty snack with Little Belly Monster. 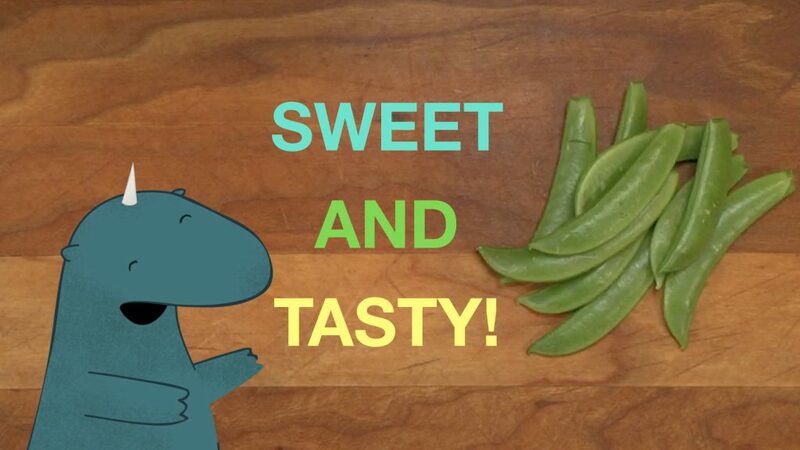 Learn about Sugar Snap Peas and lots of yummy ways to eat them, before Little Belly Monster chomps them all up! 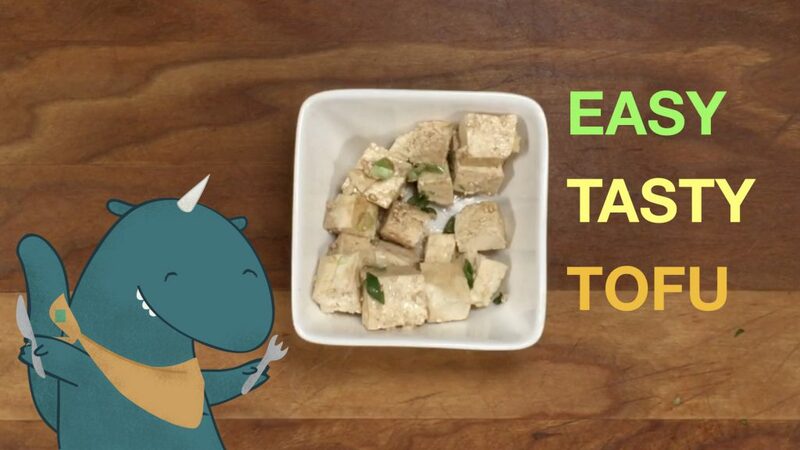 Tofu is a yummy way to add protein to your diet that doesn’t need to be complicated to be tasty. Cut tofu into cubes and put in a large bowl. Drizzle canola oil and soy sauce over top. Chop green onion into little bits – make them small so that no bite is too overpowering. Add to bowl. Mix it all together. You can eat it just like this or sprinkle roasted sesame seeds on top. 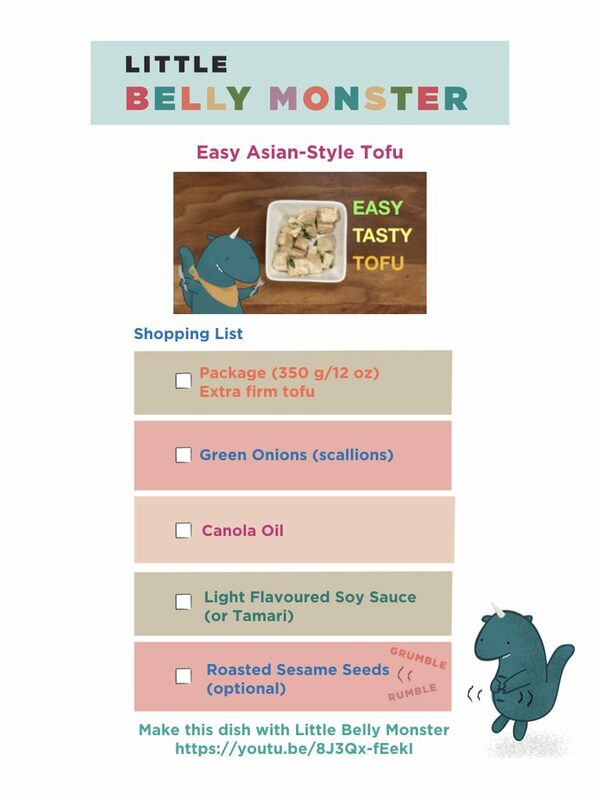 DOWNLOAD the Shopping List & WATCH the Video to make it with Little Belly Monster & Mummo!